The Gospel of Luke tells the story of Jesus from a perspective unlike any other. As a physician, Luke presents a detailed account of Jesus' conception and birth. As a meticulous historian, he highlights Jesus' parables, teachings, healings, and compassion to the outcasts in Israel. He follows Christ on His journey to the cross, recounts His last days that led to His crucifixion and burial, and documents Christ's victory over the grave. 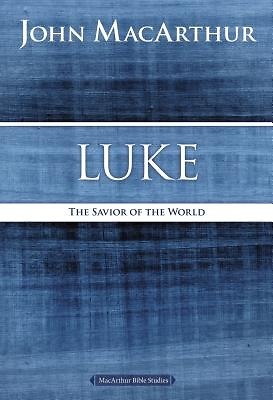 From the beginning of Jesus' public ministry to the Lord's final words, Luke stresses Jesus' willingness to go to the cross to complete His ultimate mission--to be the Savior of all the world.